The Enigmatis series from Artifex Mundi has been first presented to the casual games community a while back. There have been two games where detectives have been hunting after the Reaper. Well, it is time to see the end of the story in the long-awaited third game, Enigmatis 3: The Shadow of Karkhala Collector's Edition. Not only the developers have come with a great main game and a bonus chapter story, but they also have done a great job with the audio-visual presentation for the story. The two detectives, you and your partner Rick, are after the Preacher this time around (I think it is a perfect choice for an evil character). Somebody they have been hunting after for a while is back and heads over to the Himalayan in Tibet. There, he intends to finally get the power to dominate the whole world. It is a big deal this time around because the immense power might he is after make it impossible for you to ever stop him if you catch him too late. You need to find "the wrath of God" to be able to stop the guy. It is an excellent story with a twist on every corner. The scenes are hand-drawn and very detailed. The game is not creepy yet quite dark in a very mysterious and intriguing way. The voice-overs and the music are excellent. 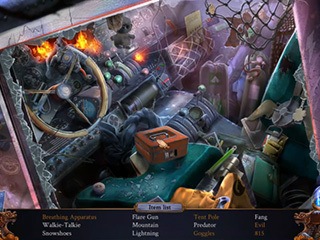 The game has a nice flow where all the elements come into place and turn into one big adventure, rather than separate parts. There are four modes of difficulty: Casual, Advanced, Expert, and Custom. Map and a strategy guide are available for you as you play. You can also adjust the skips and hints for the mini-games (10-120 seconds) and only hints for the hidden object scenes (5-240 seconds). 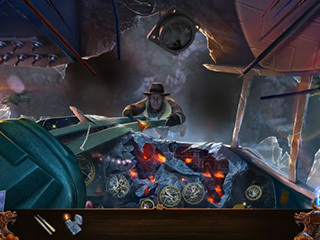 Both mini-games and hidden object scenes are free for replay. 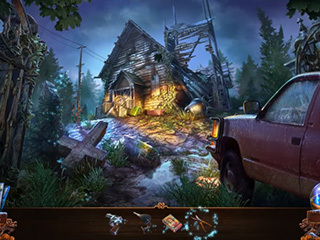 Both the mini-games and the hidden object scenes are interesting and engaging. There is an evidence board where you can come up with theories and new leads. There are 44 collectibles total and over 30 achievements to keep you busy. You get the usual media extras, like concept art and music. Check out this third and final edition to the Enegmatis series! This is Enigmatis 3: The Shadow of Karkhala review. Download this game here.